The showers passing through here are sleet with flakes mixed in. Radar said just rain at the time. Definitely colder now than when I was out at midday, currently 3 degrees. Our automated and video forecast seems to show a lot more significant snow for the NW of Ireland than most of England. The MetO will have to shoulder a lot of blame if there is disruption tomorrow and not a yellow warning to its name. I suspect they'll drop a modest warning tonight. 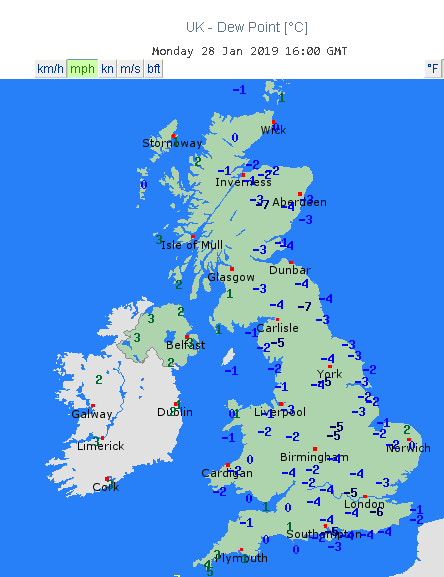 Hirlam and Euro4 going for decent accumulations still across the NW. 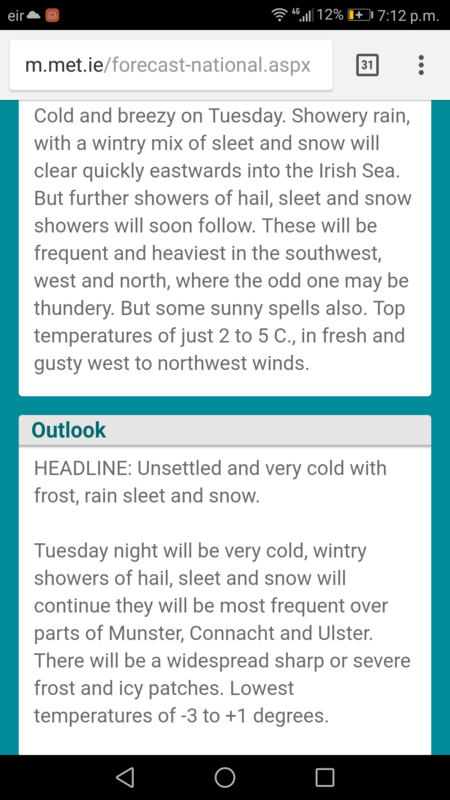 I am surprised the Met office haven't issued a warning, I've never seen hirlam and Euro4 on the same page and no warning from them for NI. 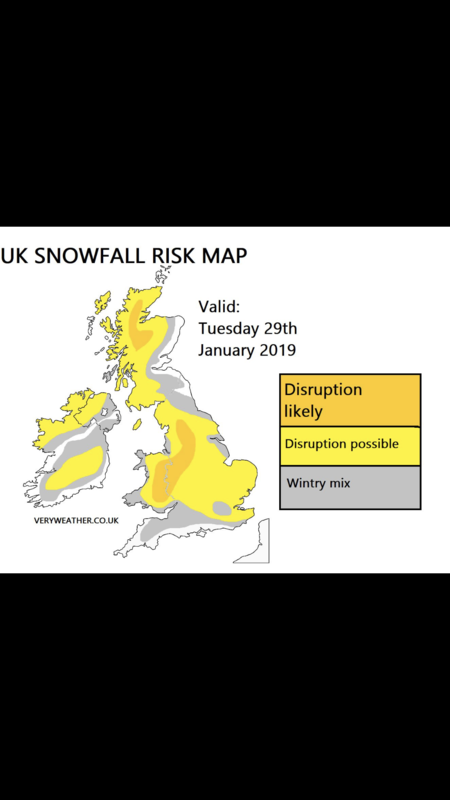 At the very least I expected an ice warning and in the chief forecasters analysis mention the possibility of slight accumulations. Regardless it's not great they haven't issued one. In saying that places that got snow last week saw it after the warning had it expired and none in place. That's based on the GFS though, won't trust that as far as I could through it. Look at the current dew points across the water compared to us! What on earth like! That's because we were under the warmer uppers associated with the rain we had today, the dew points will be falling now. Dew points around zero now. Noticeable drop off in temps outside in past hour. Showers moving back in on a WNW wind it seems. 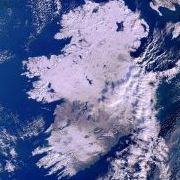 Already turning wintry over Donegal. That's close to the latest euro4 12z. Maybe a bit more in the NW. There's your reason below why met office don't have warning for tomorrow time will tell tho. Some rain, sleet and snow showers at first with slight accumulations likely on hills. Showers becoming fewer later in morning with some afternoon sunshine. Maximum temperature 4 °C. Unreal... 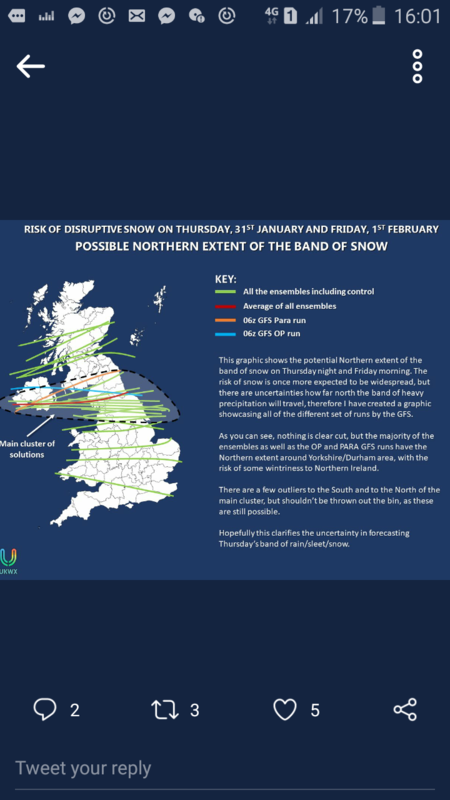 Here's latest met office update. Spends whole time talking about rain/sleet/snow band crossing England and fails to mention NI getting constant showers the whole time. It’s hardy that surprising given recent events in British politics! Met Eireann much better for this Island. Well Barras forecast doesn't give much hope for snow tonight and tomorrow. 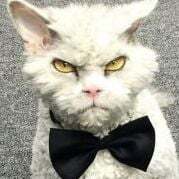 Starting to think that this week is gonna be a bit crap for us. The only thing we can hope for is that the front on Thursday is further North!! Mmmm trouble is met ie forecast isn’t that promising either. wintry showers at best here I think and with sunshine between, I doubt there will be lying snow. Well Barras forecast doesn't give me much hope for snow tonight and tomorrow. Starting to think that this week is gonna be a bit crap for us. The only thing we can hope for is that the front on Thursday is further North!! 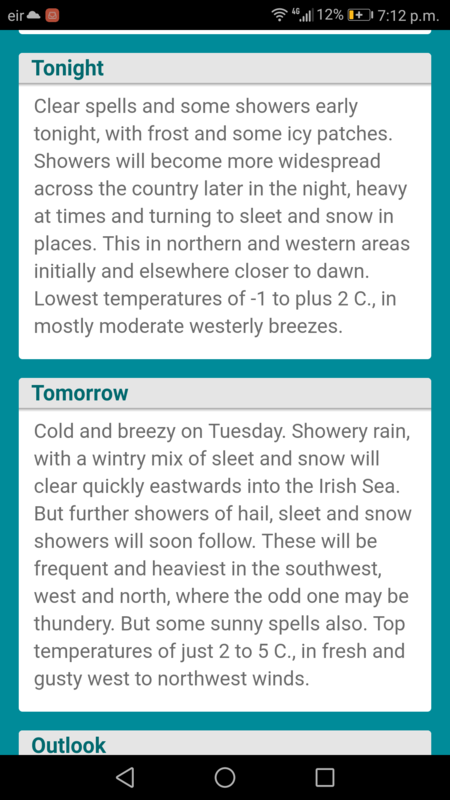 Don’t understand Ronan, Euro 4 showing snow from tomorrow through Wednesday. Am just about ready to give up on any snow this week. I know its throwing the towel in early but nothing is suggesting much snow if any for here. Every forecast is conflicting and I am starting to think that the METO is spot on with no warnings etc.